GM dealers have resumed U.S. sales of nearly 60,000 crossovers that the company grounded late last week as it rushed to ship revised window stickers. DETROIT -- General Motors is hashing out a plan to compensate nearly 170,000 owners of 2016 model large crossovers purchased with window stickers that overstated their fuel economy, just as the first lawsuit over the matter was filed in federal court. GM wants to respond quickly to soothe hard feelings among customers for what it has called an “inadvertent error” that led it to publish incorrect EPA ratings for the ’16 Chevrolet Traverse, GMC Acadia and Buick Enclave, overstating their fuel economy by 1 to 2 mpg, according to three people with knowledge of the plans. GM is expected to announce a plan to customers and dealers within a week, the sources said. Meanwhile, GM was hit on Tuesday with a prospective class-action lawsuit seeking compensation for people who bought crossovers with the inaccurate EPA stickers. The complaint, filed in U.S. District Court for the Eastern District of Michigan, alleges that GM concealed the actual fuel economy of the crossovers and that customers overpaid for them. 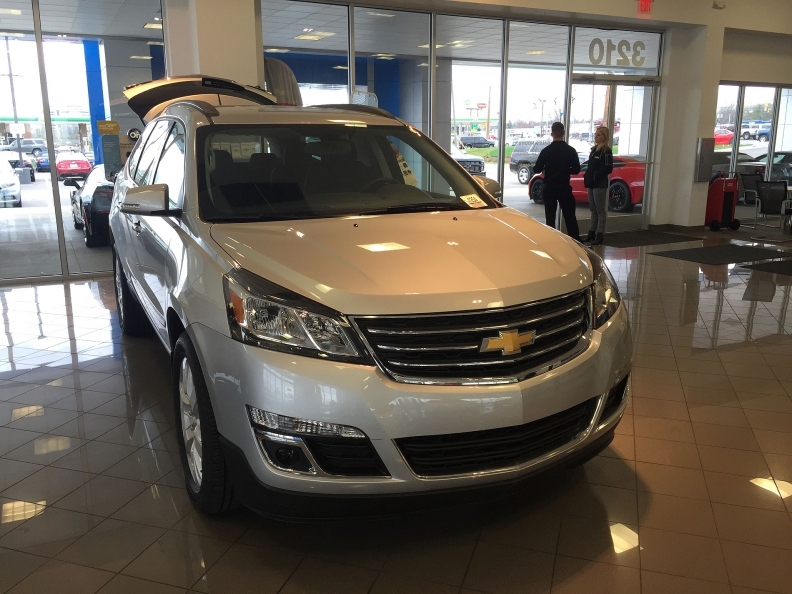 Law firm McCuneWright filed the complaint on behalf of Sean Tolmasoff, a Florida resident who purchased a 2016 Chevy Traverse in April. According to the suit, Tolmasoff “would not have purchased the Traverse or would have paid substantially less for it” had GM disclosed the crossover’s accurate fuel economy rating on the window sticker. McCuneWright was among the firms representing consumers who sued Hyundai and Kia after the companies admitted in 2012 to selling some 900,000 vehicles with inflated fuel economy ratings. Hyundai and Kia attributed the inaccurate ratings to internal procedural errors after an EPA investigation. It agreed to pay up to $395 million to settle the suits. GM dealers have resumed U.S. sales of the nearly 60,000 crossovers that the company grounded late last week as it rushed to ship revised window stickers. But GM is still working on its message to more than 168,000 customers who have bought one since the ’16 models went on sale last fall. It’s unclear whether GM’s compensation program will include cash to customers or some other form of payment. Volkswagen AG offered nearly 600,000 customers gift cards and dealership credit as part of a “goodwill package” to compensate them for equipping their diesel cars with defeat devices to cheat emission tests, while it worked on a broader settlement with regulators. The correct EPA ratings for all-wheel-drive models of all three GM crossovers are 15 mpg city/22 highway/17 combined. The incorrect label showed 17 mpg city/24 highway/19 combined. The ratings for front-wheel-drive models -- 15 mpg city/22 highway/18 combined -- also were listed incorrectly on the label. In a statement Wednesday to Automotive News, GM provided more information about how it says the error occurred. The ’16 models were equipped with new “emissions-related hardware,” which required new emissions tests for those vehicles, GM said. “The fuel economy data from these tests were not captured in calculations made for EPA fuel economy labels ... causing 2016 model year fuel economy numbers to be overstated,” it said. This error was discovered as GM engineers worked on the 2017 model labels, and was quickly reported to the EPA, GM said.